Since Curt Howell joined Versalift as CEO in March of 2017, he has brought important change to the company. A veteran leader of automotive manufacturing organizations, Mr. Howell, with his team, has initiated major facility improvements at the Waco, Texas-based manufacturer. These improvements have resulted in an improved-quality product that is getting into the hands of the customers significantly faster. VP of Operations Robert Martz, a long time colleague of Mr. Howell, was brought in to focus on upgrading Versalift’s manufacturing facility. Manufacturing processes have since become state-of-the-art, while concurrently improving production volumes. This has been the first major change. Overall manufacturing performance improvements, including significantly reduced lead time are a result of these upgrades. The second major change that Versalift’s senior management team has created has been to establish a Lean Manufacturing System that is focused upon First Time Quality (FTQ). Aiming to manufacture Versalift equipment with zero defects, the manufacturing operation has overseen changes resulting in greatly improved product quality at lower costs. When we improve FTQ, our customers are getting equipment in ready-to-deploy condition at the time of delivery. This improvement is directly tied to organizational transparency, which is communicated on the Glass Wall. The Glass Wall, our visual indicator of our organizational effectiveness, measures and tracks the manufacturing Key Performance Indicators (KPIs) upon which we, at Versalift, focus most closely. These indicators are product quality, cost, delivery, customer satisfaction and efficiency. The Glass Wall provides transparency through the entire value stream and illustrates how every team member at Versalift contributes meaningfully to our success. The third major change brought to Versalift this year is a set of software implementations. Versalift has established a comprehensive Versalift CRM system, which allows company representatives to refer to one centralized and comprehensive customer record, and empowers them to speak clearly, confidently and with one voice. Additionally, Versalift has rolled out a unified Global Operations Resource Systems platform, keeping company associates focused on customer needs. Managers now have access to real-time data and insights that support the decisions and goals established by the leadership team. 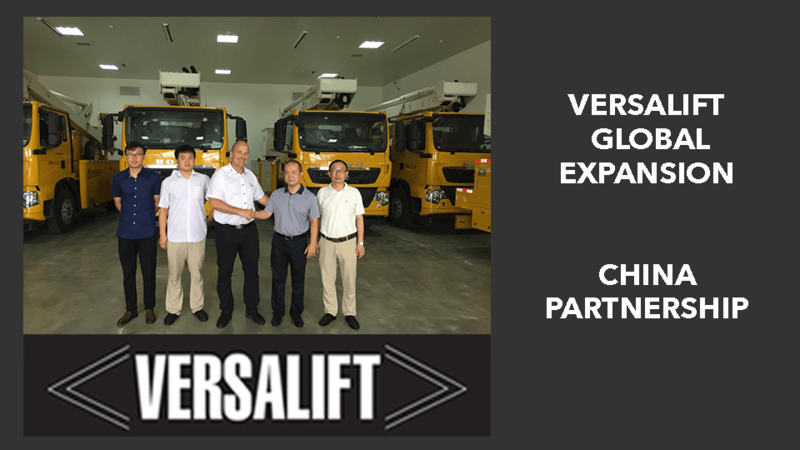 Versalift’s solid reputation in the market is a direct reflection of every one of the associates at our company. This tremendous group of people should be recognized for its commitment to excellence. Their hard work has earned us a superior status for some of the most prized products in our industry.